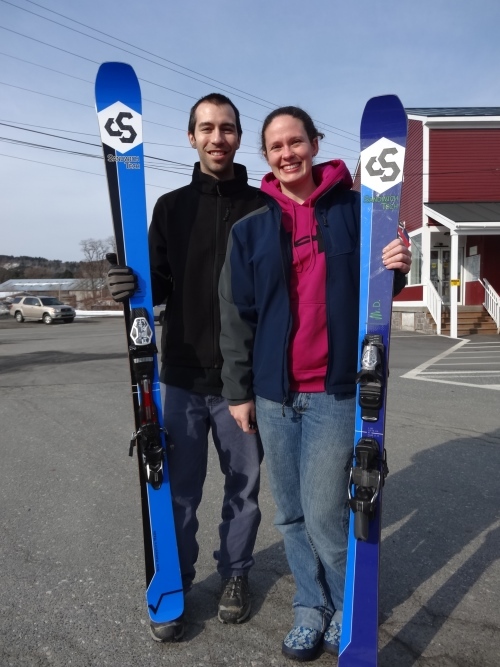 Katie Mros and Matt Michaud are a pair of engineering geeks who crave high performance skis, and they live and breathe composite material science and mechanical engineering. They are super dedicated and eager to make great skis in small batches. They hail from the icy, wind-blown pitches of Cannon Mountain in New Hampshire, so they know a thing or two about carving ski behavior and properties required to make the ski perform properly in such conditions. 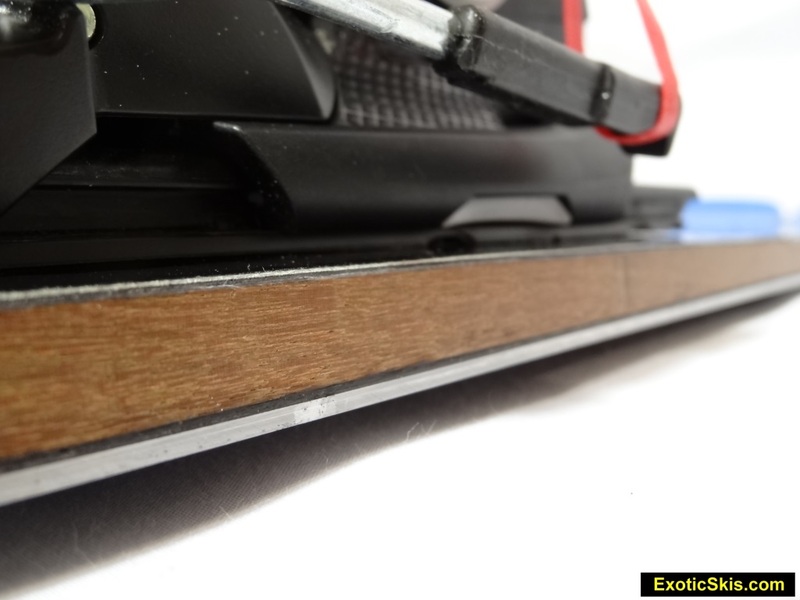 Being based in Vermont, we here at ExoticSkis naturally have an affinity for Eastern-made skis (even if these are made in New Hampshire...we can talk about that later...). "A hard-charging, all-mountain carver, the Root 88 shares the 78's east coast roots but adds girth for versatility in more varied conditions. 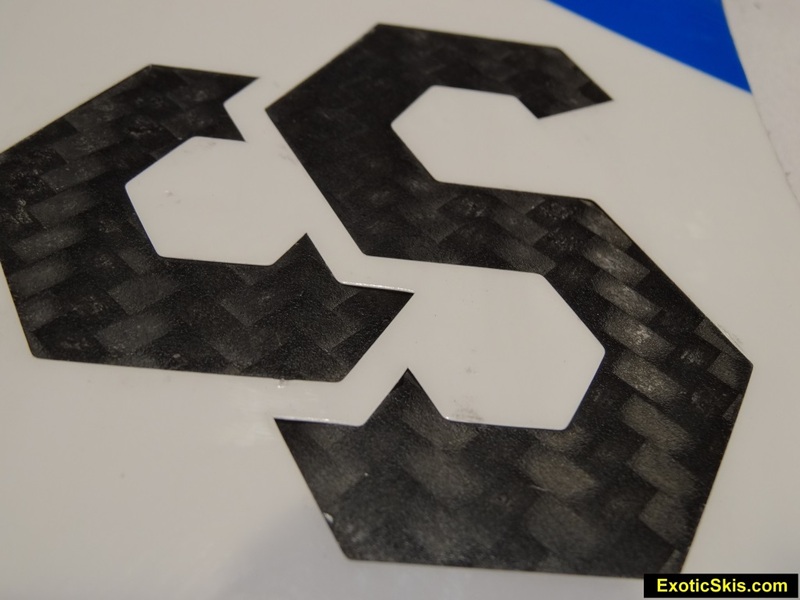 The torsionally rigid Carbon Box construction rewards fast, skilled carvers with great edge hold and stability. Able to store more energy than carbon fiber or Kevlar, our Ballistic Glass provides a consistent flex and rebound. The Root 88 is ideal for a skier who wants all-mountain versatility, but demands precise carving to appease their inner-racer." The Root88 feels like a classic GS racing chassis made more compliant at turn initiation, requiring less effort than a true GS ski or GS-cheater. Ski behavior at over 55 mph was quiet, perfectly controlled, responsive (but never darty) and authoritative, both at low edging angles and when bent into intense carving radii. Their construction can take enormous pressure and retain its integrity really, really well. It behaves like a race-stock ski in that it does not eject the pilot out of turns, but provides powerful, controlled acceleration. 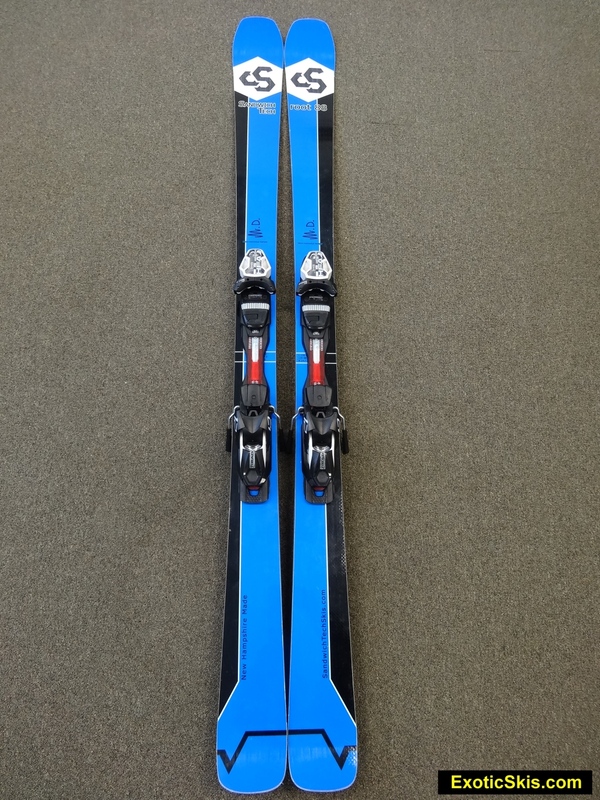 For the athletic or technical enthusiast, perhaps a bit more "pop" would make it more "exciting" ….but then again, I am a big fan of damp, quiet skis that can rail undisturbed across hardpack. 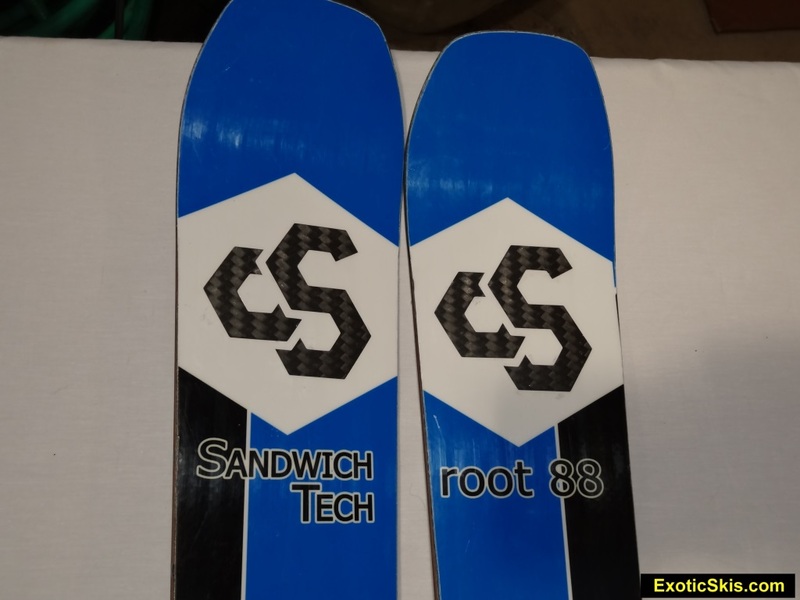 We managed to get several testers on the Root 88 over several days, and the level of excitement about SandwichTech's design and performance was unanimous. These guys are on to something special for frontside skiers who crave a torsional integrity beyond compare, mated with excellent vibration control ("vibration decay properties"...not "dampening" as Matt and Katie will describe it....we told you they were geeks...) and calm, secure, confidence-inspiring grip and behavior at nearly any speed. The faster you ride it, the more if feels at home. Carving behavior is superb, with a quiet, elegant shape initiated automatically along the ski's length. No hinge-flex, no imbalance, just smooth, pure, clean "carve-iture" behaviors. Addicting for carving freaks and speed merchants. SandwichTech has some serious mojo happening in this chassis and people should pay attention to any ski coming out of their shop. 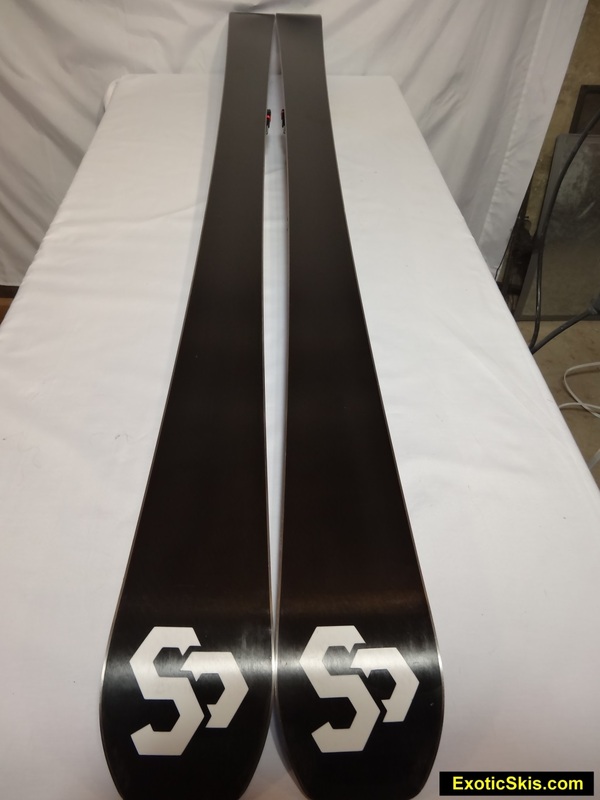 Like the Root78 we tested later, the SandwichTech Root88s ended up being on the favorite groomer skis to go in the car every day we went out...so that says something important about these skis. Suberb fit and finish, glossy, richly colored topsheet. Moderate flex stiffness with authoritative torsional rigidity, feels like a detuned race ski, tranditional camber profile, wide-ish, squared-off shovels. Relatively light for a charging frontside carver. Intriguing look, especially with the hardwood sidwalls. Eastern corduroy, packed powder and hardpack groomers, boilerplate, ungroomed packed powder with small bumps, shin-deep powder conditions, both smooth and bumpy. The Root 88 is a quiet, powerful, lineholding, tracking machine devoid of any nervous or darty behavior as speeds exceed 50 miles per hour. Turn initiation does not require muscle, but a bit of speed before the tips engage and pull the entire length of the ski into the surface. Grip is superbly secure at any point in a turn, with no hint of vibration or skitter underfoot or at any point along the chassis, even on boilerplate conditions. The word "controled" kept cropping up in descriptions of the Root88 on hardpack. The Root88's geometry really prefers GS-radius turns across the hill rather than jackrabbit-quick SL turns. You can get the Root88s to make short-radius turns, but it feels somewhat resistant to sub-13 meter turns like many "all mountain race carvers", preferring to be let out on their leash to carve high-angle or low-angle large-radius arcs on the snow at speed. Feedback on hardpack was excellent, without beeing harsh. You can feel the density and composition of the snow under the skis without being abused or disturbed by it in high-pressure situations...speaking of which.....The Root88 can handle an unusually intense amount of pressure in high-intensity turns on hardpack, never giving-out or wavering...reminding us of the behavior of some favorite race-stock skis, but without the effort required to hold a race ski on-line during high-intensity pressure situations. Big thumbs-up for that. 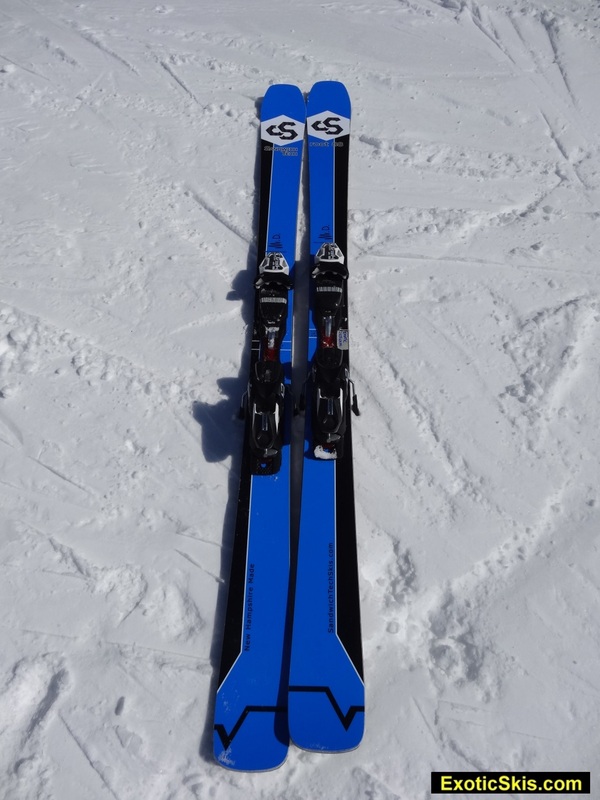 Race-quality performance on hardpack was very impressive, probably the best of any small-company carving skis we have tested over the last ten years, with the only lower marks resulting from a slight lack of "snap" out of the turns on race-quality surfaces some testers crave. SandwichTech's design and material recipie for ther hard-charging frontside carver has a bias toward the "strong-silent-type" personality rathet than "wild-and-wooly" jackrabbit behaviors...which is fine with us, especially when the ski is targeted as an all-mountain design intended for all-day usage rather than a few hot runs. Hardpack behavior is superb. The bases are race-quality fast on hardpack. The Root88 is essentially a frontside race-carver, but its wider chassis and undemanding turn initiation makes it a worthy weapon to cut through mixed conditions with superb stability and predictability. The Root88 will reward a technially-proficient skier in mixed snow conditions since it likes to be precisely driven rather than blindly drifted. The cambered body responds best to pressure and direction, producing an unwaivering trajectory across variable surface types and depths, never deflecting, never wobbling or washing away. It stays on line and goes where it is told....the faster the better. While the Root88 is not balky, it comes more alive at higher speeds, rewarding the pilot with a high-performance ride and confidence-inspriing stability without demanding Olympic-quality physical fitness constantly. The bumpier the mixed terrain, the more you feel the race-like chassis underfoot..not in a burly way but definitely not a fluffy all-mountain ski...more like a slightly detuned race ski spread-out over a wider area....if that makes sense to anyone. The Root88 can be a bit balky and stiff-feeling in tight bumps with its full camber, lack of rocker and race-ski DNA, but a powerhouse in longer bumps if you keep your line accurate (easy to do with the Root88) and weighting on-time. If you get into the back seat withthe Root88 in bumps, you will feel like a slacker since these ski want the driver to be on top of them, not behind them. The design of the Root88 is really to tear up the frontside groomers with race-like grip and security, not pound through the moguls, but that being said, the Root88 does have a remarkably wide performance envelope and handles bumps pretty darn well considering its prowess on hardpack. 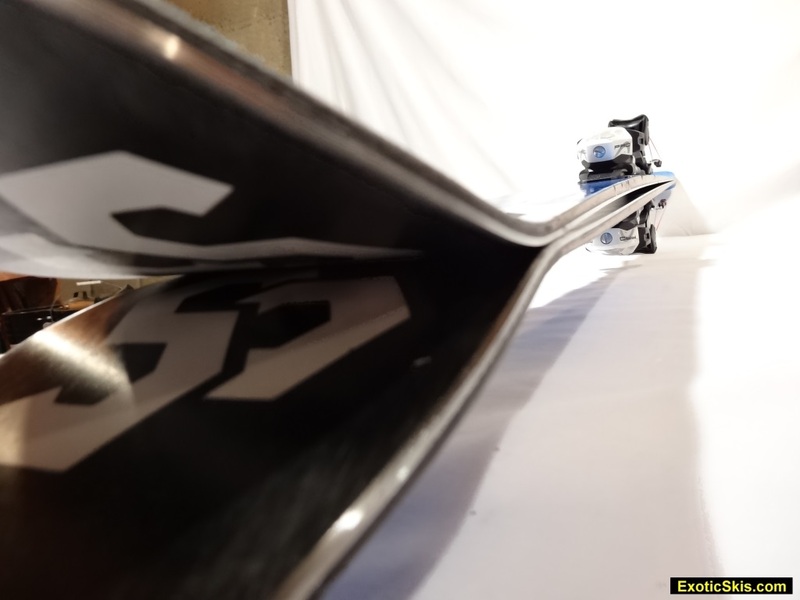 The Root88 has a nicely squared-off shovel, which means the tips can produce a bit more float in real powder snow than other frontside race-carvers, but the full-camber, squared tail and lack of rocker really produces a ski happiest "on-snow" rather than "in-snow". The 88mm waist says it all....this is a frontside groomer ski rather than a powder ski. Our powder behavior testing was limited (shin deep at most), and the Root88 performed in powder like we expected..a bit sluggish, purely directional and just like other skis in its category...probably a little better. We really liked the Root88 cutting through mixed conditions...especially the mid-day chop after the new snow was skied-out in the first part of the morning....rather than first thing in the morning in fresh snow...where it feels like a waste of good snow to use a race-carver first thing after a moderate dump of fresh fluff. Recent developments in powder ski designs and rockered all-mountain skis have created a population of skiers who expect superbly surfy, fun and exciting skis in fresh snow, making it difficult for any fully-cambered carving ski to get any bonus points for powder performance...not just SandwichTech. A detuned race ski spread out over a larger surface area with an extra dose of quiet control and pro-level pressure handling. Feels a bit sluggish until you get it up to speed (but it loves speed)...then it becomes addicting. Has no real speed limit (good thing!). Makes a very nice turn shape, with excellent engagement and: "feed" into the selected radius. Good variety of radii, as well as mid-course radius adjustments. Quiet, stable as a rail and absolutely secure. Nicely balanced, with good feedback to the pilot. Strong feel, reliable and confidence inspiring. Can get trapped a bit in crusty old refrozen soft snow…being a fully-cambered design like a GS ski. Nothing, other than perhaps a bit more "snap" out of the turns to keep the racer-addicts happiest. Superb frontside race-carver with easy turn initiation and essentially unlimited speed and pressure capabilities...Super solid and quiet underfoot, no matter what the surface is. Addicting. Get a demo to make sure you like the speeds it craves to come alive. Racers and experts - no hesitation. Intermediates might want to try it first, but it is a ski to bring you up to the next level.